AeroShell is a heritage brand that has dominated the global market in general aviation lubricants since 1909 when they provided the fuel for Louise Blériot’s crossing of the English channel. Throughout the past century AeroShell has participated in many milestones in aviation. Today, with proven performance on a wide range of products and a presence on six continents, AeroShell is acknowledged as one of the world’s leading providers of technical aviation services. The AeroShell line offers military specific greases, mineral oils, different grades of ashless dispersant oils and turbine engine oils. For inquiries and more information on regarding available stock please call 425.822.1776 so one of our lubricant experts may assist you. AeroShell Oils 65, 80, 100 and 120 – AeroShell straight mineral oils are available in four viscosity grades (SAE 30, 40, 50, and 60) They are blended from selected high viscosity index base stock and contain a minimum quantity of additives. These oils are especially appropriate during the break-in period of most new or recently overhauled four-stroke aircraft piston engines. AeroShell Oils W80, W100 and W120 – AeroShell “W” (ashless dispersant) oils were the first aviation piston engine lubricant to be formulated with non-metallic dispersant additives. They provide exceptional lubricant performance and help avoid the build up of metallic ash residues on critical enginee components. These oils are intended for use in a wide range of four-stroke aircraft piston engines, including fuel injected and turbocharged variants. AeroShell Oil W100 Plus – This new single grade oil combines proven ashless dispersant technology with anti-wear/anti-corrosion additives. 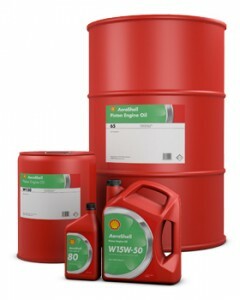 Argued to be the best single grade on the market, AeroShell Oil W100 Plus has outstanding resistance to heat. Aeroshell W15W50 – This is a premium semi-synthetic multigrade ashless dispersant oil specifically developed for aviation piston engines. The ashless anti-wear additive package provides exceptional wear protection for camshafts and lifters amongst other wearing surfaces. In order to cater to Lycoming engines that need improved load carrying, the Lycoming LW 16702 anti-wear additive has been incorporated in the formulation, eliminating the need for supplemental additives. AeroShell Oil Sport PLUS 4 – This was especially developed in conjunction with major engine manufacturers to satisfy the specific demands of small, 4 cycle piston engines using in light aviation sector, which have previously relied on motorcycle lubricants. Extremely resistant to the immense sheer forces that occur in areas of high-pressure contact such as high-speed gearboxes, valve trains, bearings, pistons and liners. AeroShell Turbine Oil 500 – This is a 5 centistoke synthetic hindered ester oil incorporating additives to help improve thermal and oxidation stability and metal passivation. Developed to meet the requirements of Pratt & Whitney 521 B Type II and MIL-L-23699 specifications this oil is entirely suitable for all civil and military engines requiring this class of lubricant. AeroShell Turbine Oil 555 – AeroShell Turbine Oil 555 is an enhanced 5 mm2/s synthetic hindered ester oil incorporating a finely balanced blend of additives to improve thermal and oxidation stability and to increase the load carrying ability of the base oil. This product was specifically developed to meet the high temperatures and load carrying requirements of SST engines and the DEF STAN 91-100 (formerly DERD 2497) and XAS-2354 specifications. AeroShell Turbine Oil 560 – ASTO 560 is a third generation 5 centistoke synthetic hindered ester lubricating oil, designed to provide commercially viable performance and benefits such as reduced coking and improved wear resistance for modern jet engines. Formulated to cope with demanding operating conditions, ASTO 560 has consistently delivered the right balance of performance and cost efficiency to the global aviation industry over the past 25 years. AeroShell Ascender – Ascender is a high performance synthetic oil for aircraft turbine engine oils. It took ten years to formulate and includes low coking propensity, high resistance to oxidation and excellent elastomer capability. Ascender is approved AS5780A and MIL-PRF-23699F HTS Grade. AeroShell Grease 5 – Wheel bearing and engine accessory grease combining high load carrying ability with excellent resistence to water and high temperatures. AeroShell Grease 6 – General purpose airframe grease featuring outstanding low temperature torque properties, resistance to water and inhibits corrosion and oxidation. AeroShell Grease 7 – Advanced multipurpose airframe grease for highly loaded gears, actuator screw mechanism, instruments and general use. AeroShell Grease 14 – Multipurpose helicopter grease with calcium soap thickened mineral base recommended for main and tail rotor bearings as well as general use. This grease is compounded with special anti-rust additives and gives outstanding protection against fretting and moisture corrosion. AeroShell Grease 15 – Extreme temperature ball and roller bearing grease recommended for continuous high temperature service (turbine engine controls) and low temperature applications. This grease has excellent high temperature and mechanical stability properties, low evaporation rate and superior resistance to water wash out. AeroShell Grease 22 – Versatile multipurpose grease for aircraft wheel bearings, engine accessories, airframe lubrication and anti-friction bearings operation at high speeds and high or low temperatures. AeroShell Grease 33 – Universal airframe lithium complex grease with a synthetic hydrocarbon/ester base developed with the purpose of satisfying almost all airframe lubrication requirements. Its enhanced corrosion resistence and load-carrying capacity reduces wear and can lead to extended greasing intervals and reduced maintenance costs. AeroShell Grease 64 (formerly known as AeroShell 33 MS) – Extreme pressure lithium complex grease that combines the technology of AeroShell Grease 33 and 5% molybdenum disulphide to lubricate heavily loaded slided steel surfaces such as bodgie pivot pins on aircraft landing gear assemblies.